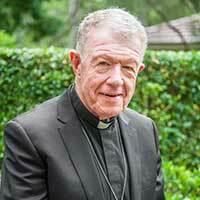 Australia’s national policy should be directed to destroying human trafficking by 2030, Bishop Terry Brady told a parliamentary inquiry today. Bishop Brady was giving evidence on behalf of the Australian Catholic Bishops Conference to the Parliamentary Joint Committee on Law Enforcement in Sydney at their hearing on human trafficking. Bishop Brady is Chair of the Bishops Commission for Pastoral Life. ‘Australians have a moral imperative to eradicate the injustice of human trafficking and modern slavery,’ Bishop Brady said. ‘If we know that the human dignity of people is being harmed in this way, we should do what we can to free them from that ill-treatment. This entry was posted in Bishops, Press Releases, Public Policy and tagged Archdiocese of Sydney, Human Trafficking, Modern slavery, Modern Slavery Act, United Nations on May 5, 2017 by ACBC Communications. 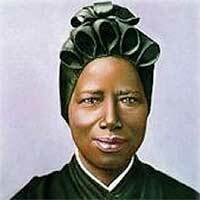 On the Feast of St Josephine Bakhita today, 8 February, bishops and religious leaders across Australia support the call from Pope Francis to end the injustice of human trafficking against all people, in particular children. ‘They are children! Not slaves!’ is the theme for Bakhita Day this year. Pope Francis has designated today a world day of prayer, reflection and action against human trafficking. This entry was posted in Bishops Commissions, Press Releases and tagged Human Trafficking, St Bakita Day on February 8, 2017 by ACBC Communications.